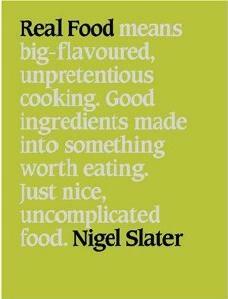 When I think of Nigel Slater's Real Food, I think comfort. 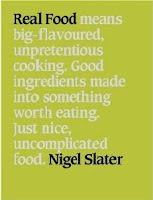 The recipes aren't 'chefy', they're not full of hard to source ingredients and they're not complicated - they let good ingredients speak for themselves in great home cooking. Real Food is about being selfish and taking pleasure in the simple things in life. It's food which is full of flavour, you can easily make and want to eat. 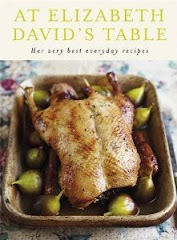 The book is based around his favourite ingredients - those in which he finds solace - potatoes, chicken, sausages, garlic, bread, cheese, ice cream and chocolate. Let's face it, who's not a fan of at least one of these? Look forward to some food which gives you a hug from the inside on book club night.